How many books about Paris are there in the world, anyway? Look y’all, I love Paris. I hated it the first time I went, but the follow-up was what it took. But I have kind of a low tolerance for books and writing and movies about Paris. Part of the reason I hated it the first time was because of the hype. There was no way any place could live up to all of the expectations that had been put on it in my head. Not to mention that people’s experience of Paris is necessarily personal. What I loved about it – the joy of discovering that beauty matters and can co-exist with the realness of everyday living, and that everyday living is worth making beautiful – isn’t what someone else likes about it. Books and stories and television shows and movies and instagram photos will communicate either a generic beauty (tiresome) or what someone else loves about the city (more interesting). 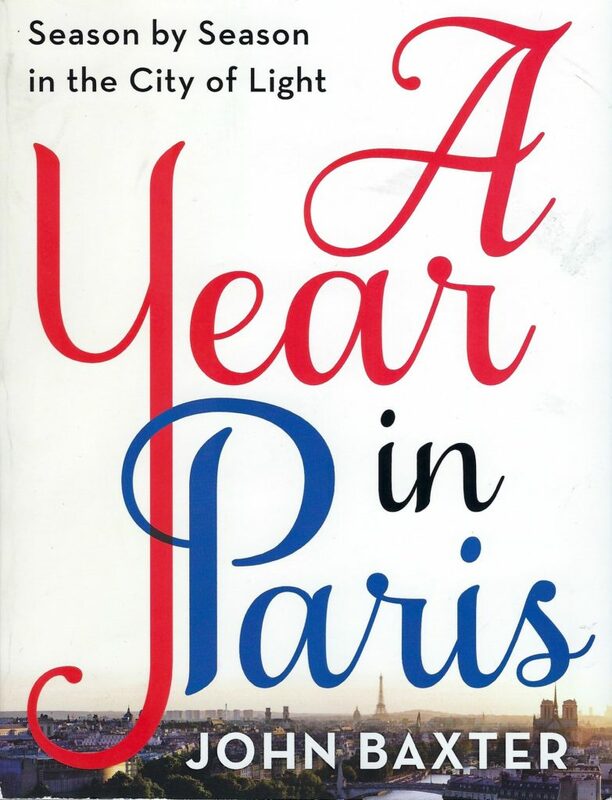 A Year in Paris is falters when it falls into the overdone Paris tropes, but is interesting when it’s talking about things that John Baxter, writer, finds interesting – the food, the Republican calendar, the respect for seasons and how life changes due to the seasons in a way it doesn’t in other places. Overall, I enjoyed the book – it gave me a sliver of that joy of discovery from the trip where I fell in love with it. And I discovered something else to enjoy about it. That’s maybe the most you can ask of a book about a place you love.